World Cup fever might be over but there's more than one reason to keep you warm at Bakstage as they will host 'For The Love Of Scotch' festival from July 27 to August 5. 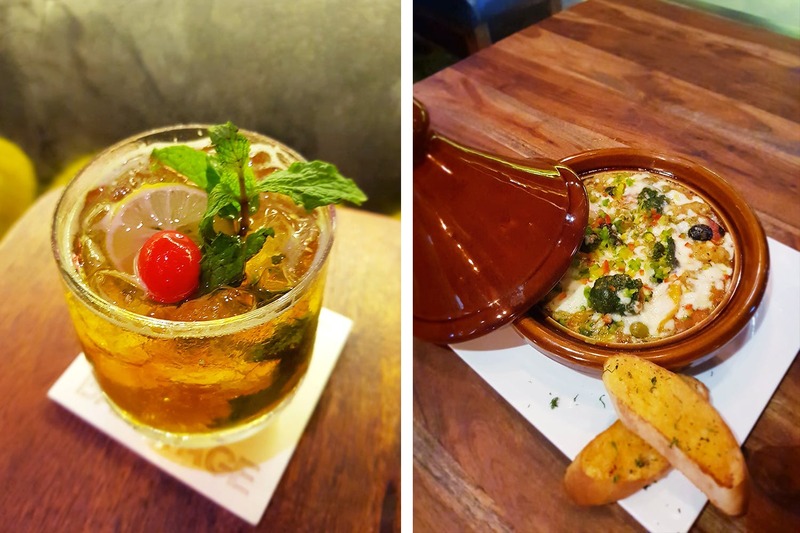 It's not just cocktails, but also great food options from their Scotch-infused food menu. Straight drinks are passe, enjoy whisky cocktails such as Mint Julep, Whisky Sour, New York Sour and Hot Toddy. What's cool is the menu shares the recipe of these concoctions so you can try your hand at making them at home. Priced between INR 300 to 400, these are quite potent. Their 'For The Love of Scotch' menu includes Vegetable & Whisky Casserole (INR 395) - vegetables slow cooked with whisky and aromatic herbs and baked in a woodfire oven; Talli Murgh served on flambe comes with chicken soaked overnight in Jim Beam for that right kick(INR 495); and the Jim Beam Ginger Shrimp and Fish Parmigiana are for those who swear by fish and seafood. Finish the meal with a Chocolate and Coffee Whisky Cake. The festival begins July 27, to mark Scotch Day and will be on till August 5. A meal for two comes around INR 1,200.